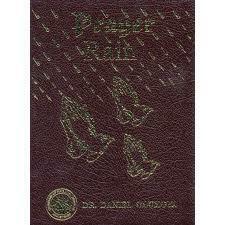 Prayer Rain leather | Karmal Books online Christian books and media store. Prayer Rain provides a way out for all those wallowing helplessly under satanic harassment. Knowing what to do, and doing it right could make a difference between who siks or swims in the river of life. Prayer Rain, is a spiritual life-jacket.